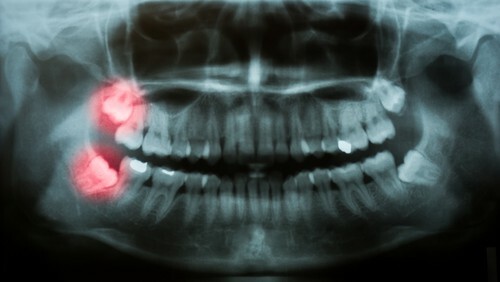 Many of us will develop our wisdom teeth, also known as third molars, at some point in our lives. Most commonly they start to show themselves in our teens but can make an appearance later in life… or perhaps never at all. However, these new molars can present a whole host of problems for us and are usually removed. But is this procedure really necessary? Let our dental office in Madison help. Perhaps you’re one of the lucky ones whose wisdom teeth came in nice and straight and had plenty of room. Your dentist in Madison may still recommend that they be removed to prevent problems later. Since wisdom teeth are hard to take care of properly — brushing and flossing all the way back there can be very difficult — they do increase the risk of decay and even gum disease. The best way to reduce the risk of your wisdom teeth causing you trouble is to monitor their development by visiting our Madison dental office regularly and following through with any recommended treatment.